Jumbo hotels, ever-smiling Sino-Portuguese people, grand shopping arcades, stellar musical shows and drop-dead delicious Macanese food! The mantra is very simple: Play at the casinos, shop at the arcades, drink and dine at the late night bistros, stay at a luxurious hotel and enjoy the festivities all around… Experience Macao! The city gushes in the glory of festivals round the year, and one can experience it any time during the visit. For lovers of music and dance, the Latin Parade is the place to be at. 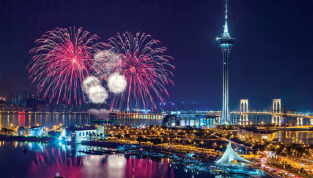 Renowned as one of the world’s most well-known fireworks festival, Macao International Fireworks Festival contributes in the joyous atmosphere during the holidays making it an annual must-see in Macao. Festive vibes permeate the town where main streets are decorated with colourful lanterns to welcome the mid-autumn festival. Other notable festivals include the Music Festival, the Film Festival, the Fringe Festival and the Lusofonia Festival. Macao Lantern Festival, an exquisite display of over 40 rabbit lanterns, transforms the waterfront promenade to delight the visitors creating an atmosphere of celebration extended with memorable evening boat-rides, delectable wine and dine pop-up stations and spectacular firework displays that one should not miss. Spend a day walking through the St Paul’s Ruins and Taipa Village when you are in Macao. The 16th century ruins was originally St Paul’s College and the Church of St Paul, also known as Mater Dei, a 17th-century Portuguese church dedicated to Saint Paul the Apostle. They are often incorrectly mentioned as a former cathedral, a status they never had. In 2005, they were officially listed as part of the Historic Centre of Macao, a UNESCO World Heritage Site. Surely picturesque and quite touristy! In all honesty, Taipa is essentially called a ‘village’ possibly because it offers a stark contrast to the extremely neo-urban landscape on the opposite side of the road. Here, one can also find dozens of shops selling various little items ranging from delicacies to souvenirs. Numerous initiatives are planned to preserve, enrich and cement Taipa Village as a tourism and cultural destination; initiatives that will allow visitors and future generations to enjoy a unique experience of the authentic Macao. Experience the transformed Taipa Village, a lively centre for artistic and cultural endeavours, with initiatives including special festive events, live performances and eclectic pop-up concepts of sustainable heritage allowing visitors to experience a diverse range of artistic and cultural attractions, so as to contribute to the development of nongaming tourism in the territory. The city offers shopping preferences for all. For high-end shopping, there is an abundance of choices with several hundred luxury brand stores in the shops at Venetian, Wynn Esplanade, Four Seasons, The Boulevard at City of Dreams, One Central Macao etc. Senado Square, another main bustling area in downtown Macao is also filled with shopping centres and traditional Chinese restaurants around the square. 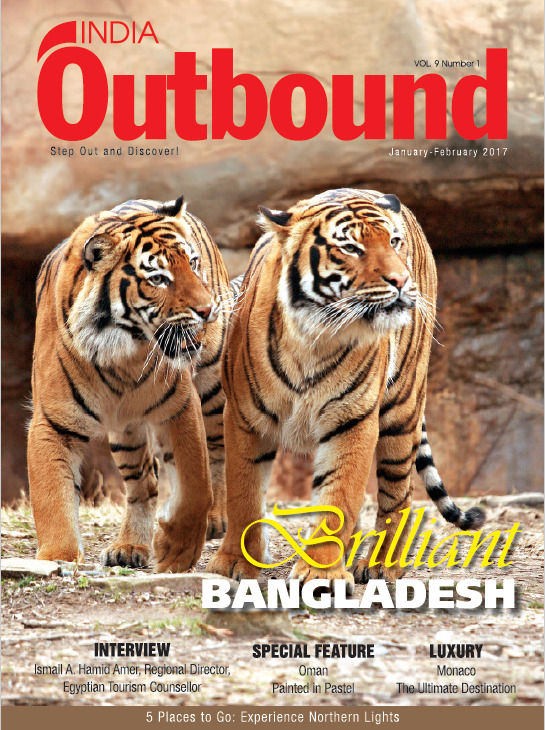 The best buys here are fashionable clothes, jewellery, wine and a host of electronic gadgetry – all at duty free prices. Another much visited arcade is located close to the uins of St Paul’s. A number of furniture and antique shops can be found along the Rua de St Paul’s with authentic antique porcelain, ancient coins and rosewood reproductions of traditional Chinese furniture. Macao has developed a niche culture of high quality spectacular amphitheatre productions as well as traditional western style Broadway musicals. 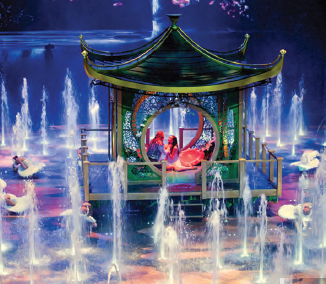 The House of Dancing Water at The City of Dreams, a water-based stage production, is a not-to-miss show that stuns the audience in the water world of drama, romance and wondrous world of acrobatics and motorcycle spectacles. If you are a fan of wizardry, then visit The House of Magic at Studio City; it will take you to a land of mind-bending magic created by world famous illusionist, Franz Harary, with his fascinating trickery and magical entertainment. If you simply want song-anddance style entertainment, experience performances by world-class artists at Viva La Broadway at Broadway Theatre @ Galaxy Macao. Macanese cuisine is a perfect combination of Asian and European flavours, with optimum Indian and Chinese balance! Macao also offers an excellent choice for sampling international cuisine: the city offers Japanese cuisine, Korean barbecue, popular American comfort food and delicacies from France, Italy, India and other Southeast Asian countries. A wide variety of food from mainland China is also featured, for example, Peking duck, steamed buns with minced pork filling, wontons and freshwater hairy crabs are some of the famous dishes on offer. A must-eat for all visiting Macao is the Macanese Portuguese egg tart at the Lord Stow’s Bakery!